The Refuge unveiled its interpretive kiosk at Perry Tract Kioskat Gulfside City Park on October 6, near the only shoreline property that it oversees. The 4-plus-acre Perry Tract lies adjacent to the park and is named for ophthalmologist and malacologist Dr. Louise Perry. Upon her passing in 1962, she donated her winter home property to the U.S. Fish & Wildlife Service to maintain as a safe haven for wildlife. 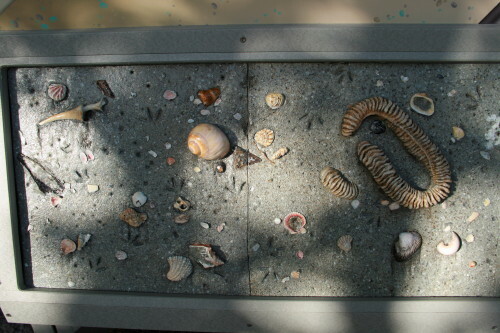 With support from the “Ding” Darling Wildlife Society-Friends of the Refuge and a grant from the Lee County Tourist Development Council, and in partnership with the City of Sanibel, the interpretive kiosk’s three panels pay homage to Dr. Perry and identifies wildlife, shorebirds, and seashells found on the beach and around the property’s pond, which is closed to the public. 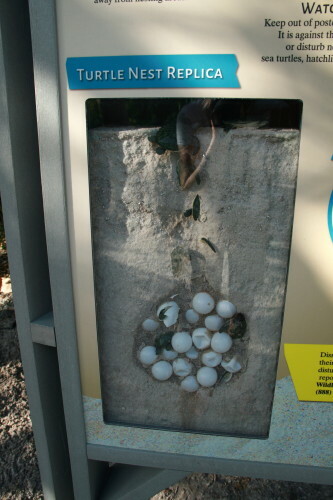 Shell castings and a replicated sea turtle nest add a hands-on element to the exhibit. “We are so grateful to our partners and Dr. Perry’s family for making possible this opportunity to educate beachgoers about seaside ecology and the importance of conserving it,” said Supervisory Refuge Ranger Toni Westland.